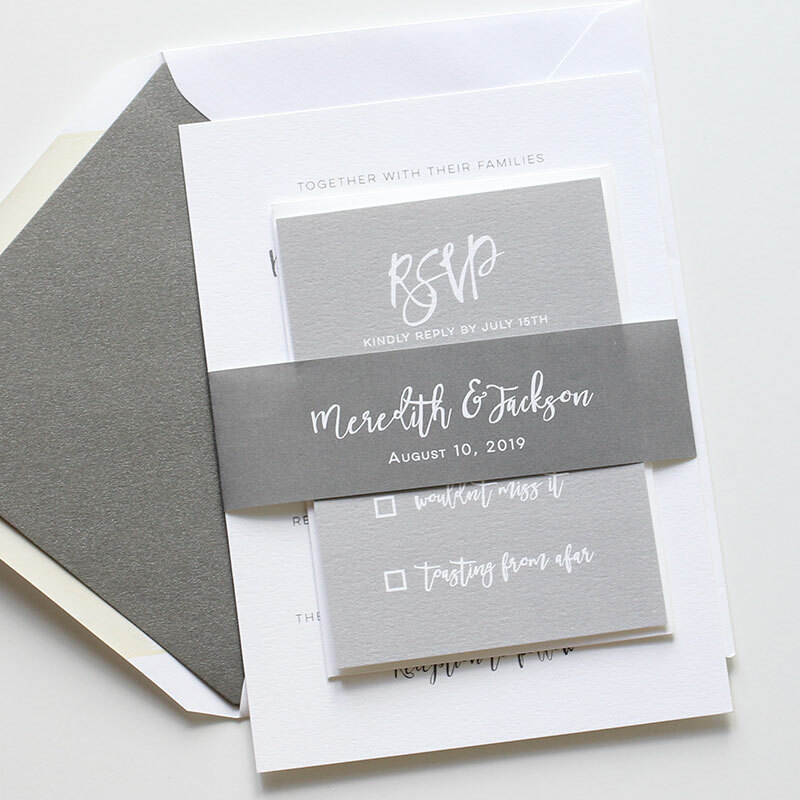 One of my favorite new designs for 2017 is our City Wedding Invitation Suite. 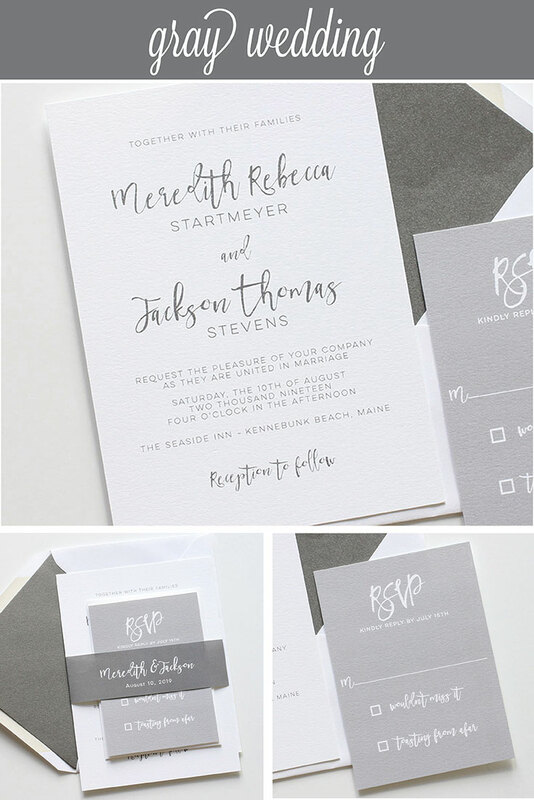 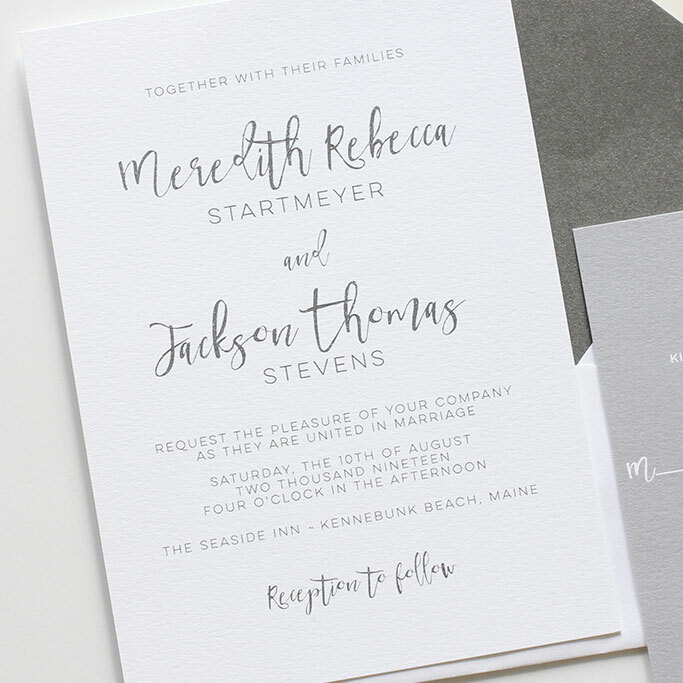 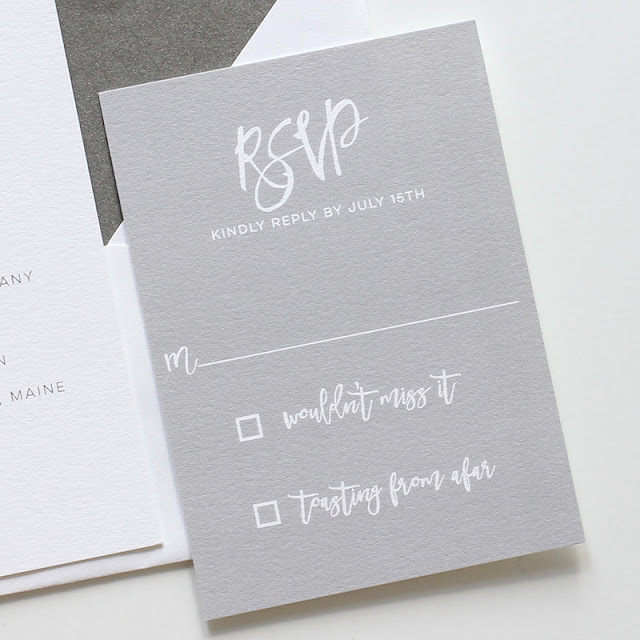 Shown here in gray printing with a metallic pewter envelope liner. I absolutely adore the unique modern font pairings and how simple yet sophisticated this suite is.